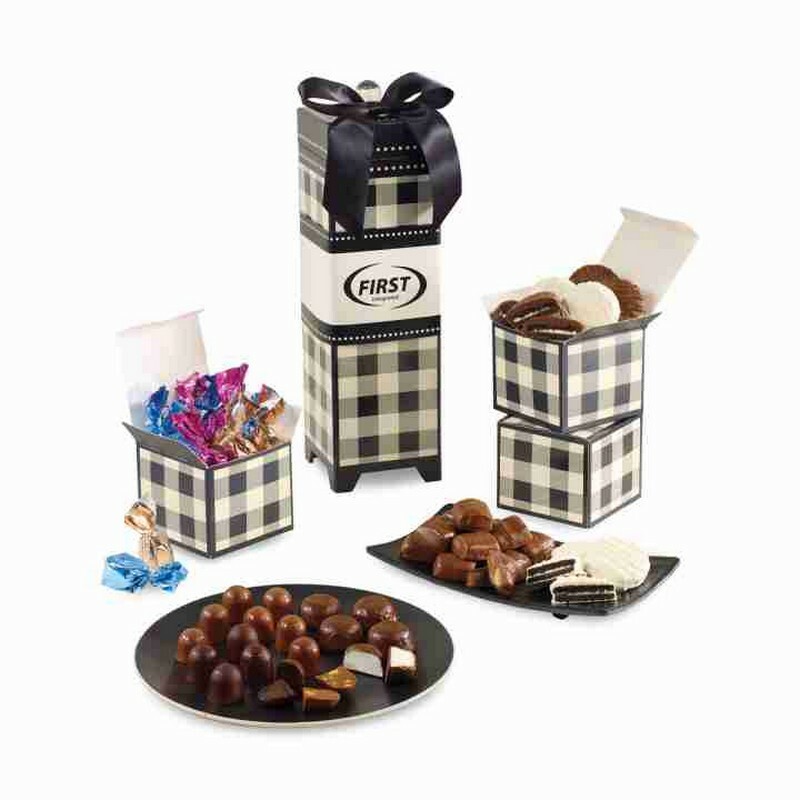 Perfect for sharing, this stylish gift box features 32 individually wrapped pieces of milk, dark and white chocolate delicious treats. Includes sea salt caramel, raspberry and almond toffee filled Artisan truffles, dark chocolate covered marshmallows, milk chocolate and white frosted sandwich cookies and almond butter toffee. Food Net Weight: 14 oz. 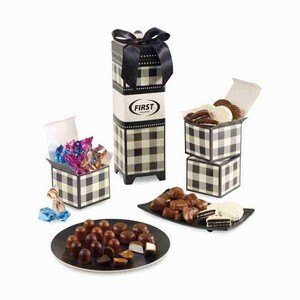 Food items are packaged inside mini plaid boxes stacked inside the gift box. 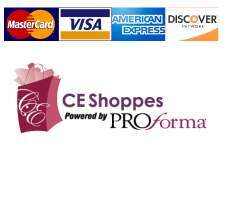 Select a complimentary ribbon in your choice of colors: white, red, navy blue, royal blue, black or grey (If a ribbon color is not selected, the item will come with a white ribbon). Decorate the short ribbon tag at top of the tower with silver or gold foil.. Add a Custom Band (GL- 914), see link below!